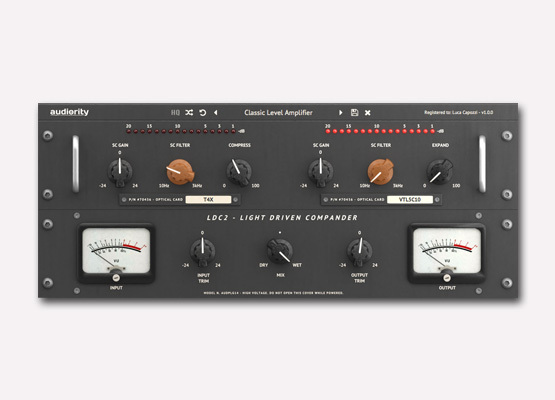 LDC2 is an analog modelled optical compressor and expander with exchangeable optical circuits, solid-state preamplifier and output stage, giving you a unique compression character. 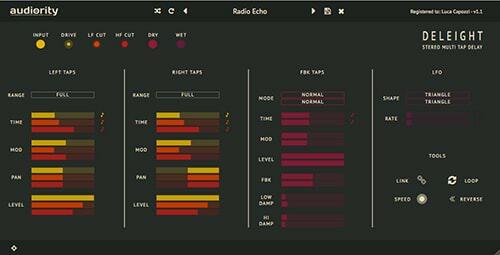 GrainSpace provides dynamic grain generation (up to 32 per channel), 7 grain parameters, 4 grain modulators (including two 11 waveforms LFO), smearing, chord resonator and reverb to create crazy sound effects, rich textures and much more. Harmonic Maximizer is a multi-band exciter and loudness shaping plugin that will make your tracks powerful and more alive. Tube Modulator is a collection of several tremolo, vibrato and spatial position effect circuits ranging from the late ‘50s tube bias tremolo to the late ‘60s psychedelic vibe pedals. Analog Modelled Italian Magnetic Echo Plugin. VST, AU and AAX. 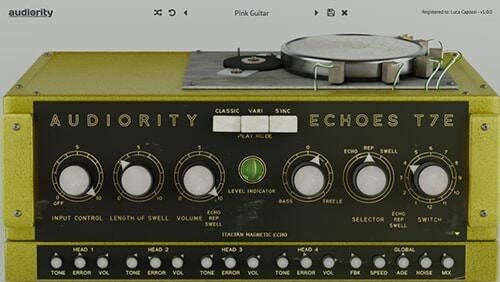 Echoes T7E is a faithful recreation of a vintage tube magnetic echo made in Italy in the early ‘60s. This echo effect unit is based on a magnetic spinning drum with both record and playback heads arranged around a recording wire wound around the drum circumference. This solution provides better stability over the usual tape transport with reduced wow and flutter. 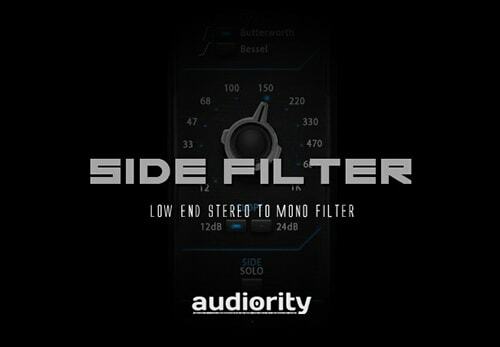 Side Filter is special High Pass filter focused on removing bass frequencies from the Side portion of a stereo mix. 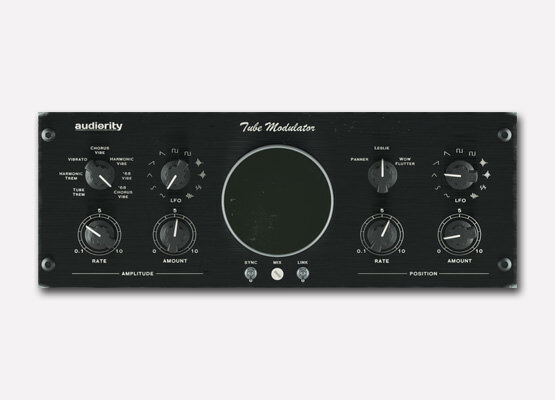 This filter is very useful to tighten up the low end of your mix or to help you prepare a vinyl ready master. 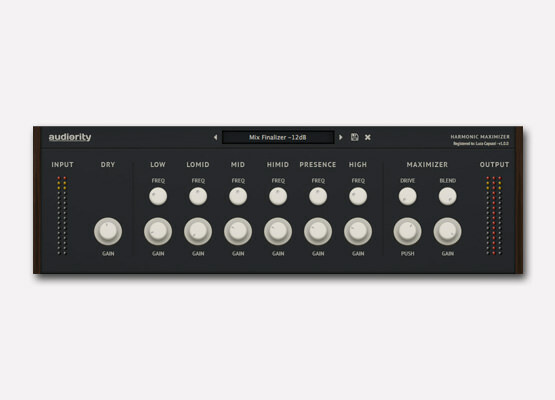 Deleight is a stereo multi tap delay processor based on late ’90s digital delays hardware processors. GrainSpace is a granular processor focused on real-time granularization and reverberation of the incoming audio signal. 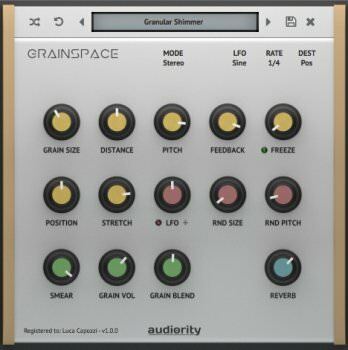 GrainSpace provides dynamic grain generation (up to 32 per channel), 7 grain parameters, 3 grain modulators (including an 11 waveforms LFO), smearing and reverb to create crazy sound effects, rich textures and much more. 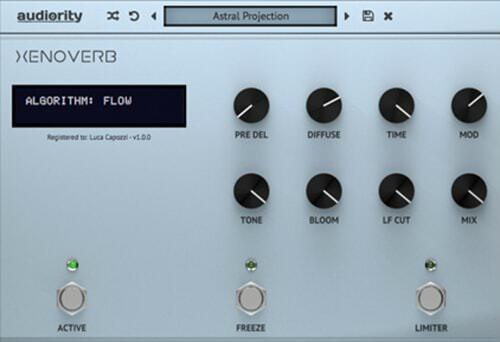 XenoVerb is a versatile reverb processor featuring both classic and creative reverb algorithms delivering a wide range of reverbs with a clean and simple interface.